Traditional Wiccan groups take protocol very seriously. It is a way to show respect to elders & servants of Crafte as well as a structure that helps to create order & harmony inside a Temple or Coven. 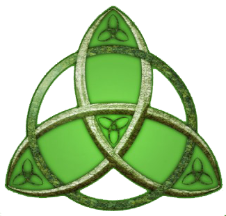 Even if you have been around the pagan community for a long time it is very likely that protocol is new to you. We are always astounded by the number of folks who have never had formal protocol training. If you are very new to Wicca it is likely you have never heard of Wiccan protocol. The information to follow is by no means a complete guide to Wiccan protocol - it is only a small taste that will help you to conduct yourself in a more informed fashion. The way protocol works is similar to the ranks & earned titles that are used in the United States Military. Wiccans who have shown a deep & sacrificial level of commitment, study & responsibility to Crafte are granted various titles & degrees. We honor and respect those titles and we expect you to as well. When you meet a police officer in uniform you do not call him "Bob". You would call him "officer" out of respect. When you meet a member of the US Military you would call them by their earned rank in a similar fashion. It would be considered very rude to do otherwise. The same holds true for the Wiccan faith. Titles such as Lord or Lady are earned. They are indicators of someone who has made extreme personal sacrifice in order so that the rest of us may have a safe, legal, and spiritual place of worship. Lords and Ladies of Wicca have spent years earning these titles and we do not give them out easily. It is a sign of disrespect to speak with or about a Lord or Lady of Wicca without using these titles. We cannot speak for other covens but you can be assured that at Life Temple, all of our Lords and Ladies have shown the deepest levels of personal commitment to achieve the right to use these titles. Elders as well as degree-holding members of Crafte are the ones who make a temple or coven possible. Without their tireless work & efforts none of us would have a spiritual community or places of worship. We are a small community, so even the best run Wiccan church is in need of more hands and more help. As a result we do all we can to ensure that these individuals have the assistance they need to continue to serve the community. Likewise all Temples are self-supporting. If we do not support the Temples then the Temples will not exist. We must all do our part to help. A monetary donation is wonderful when possible. And most people do regularly contribute a few dollars each ritual or class to the Temple donation box. But Life Temple does not expect large cash donations. A few Wiccans do choose to tithe a percentage of their income each year to their church. But this is an individual choice, not a demand or requirement. What is more essential for a Wiccan group is service. Below is a list of things you can do, provide or offer to your church. Please note that it is usually up to you to ask what you can do / provide. Cleaning: sweeping, vacuuming, washing dishes, general cleaning, etc. Time: a few hrs. per month to help with clerical work, filing papers & data entry. Yard Work: mowing, raking, weeding, planting, pruning, etc. Minor repairs, painting, & any and all skilled labor - provided you have expertise. Transportation assistance to other members. Toilet paper, paper towels, napkins, paper plates, disposable cups & cutlery, candles, incenses, oils, light bulbs, dish soap & dishwasher detergent, coffee, tea, sugar, & other kitchen staples, Gift Cards to: Walmart, Target, Home Depot etc. any household item you would stock-pile if you find a great sale - are the same items that can benefit your Temple / Coven.